Traffic-calming measures act as the instruments to reduce the speed of vehicles. They make a major contribution to road safety; however, on the other hand, air pollution is more likely to occur due to the fact that motor vehicles use brakes and accelerate more frequently. The study reviewed two types of traffic-calming devices, that is, trapezoid-shaped speed humps made of asphalt and plastic circular speed bumps. The obtained results showed an increase in the concentrations of NO, NO2 and CO found in the pollutants emitted from the vehicles approaching speed bumps/humps compared to the concentrations of the same types of pollutants at the check points. 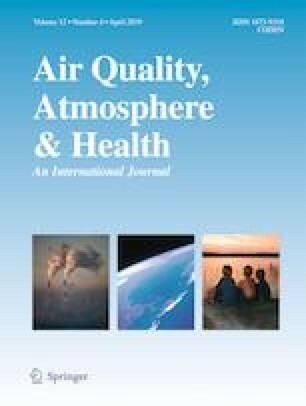 As for trapezoidal speed humps, the concentration of nitrogen dioxide increased on average by 1.8 times, that of nitrogen monoxide by 4.3 times and that of carbon monoxide by 2.2 times. Meanwhile, the concentration of nitrogen dioxide at circular plastic speed bumps rose on average by 2.5 times, that of nitric monoxide by 5.0 times and that of carbon monoxide by 3.2 times.